Silvertone starter pack is incredibly hard to beat. The candy blue finish gives the guitar a gorgeous aesthetic that looks fully professional. The pickup selector has 5 positions, and there are two tone knobs to give even more control over the sound. Stratocaster fans will love this guitar! Also included in the set is a gig bag, small Silvertone amp, strap, 5 picks, Allan wrenches, strings, a clip-on tuner, and a tremolo bar. Pyle Pro’s PEGKT15SB package is the next step up. This guitar has more of a vintage feel thanks to its sunburst finish. Like the Silvertone above, it features 3 single coil pickups, two tone knobs, a tremolo bridge system, and a full-scale neck complete with a 22nd fret. Also included in the package is a Pyle Pro gig bag, a small 10-watt amp with cable, 3 guitar picks, a strap, and extra strings. The Dean Vendetta pack offers a sharp looking metallic red super Stratocaster style guitar with dual humbuckers, a tremolo bridge for fun dive tricks, and a 24 fret neck. 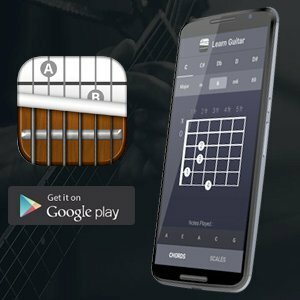 This is perfect for players that want to start learning lead guitar as soon as possible. The neck is quite fast for a guitar in its price range. Also included with the purchase is a 10-watt practice amp, gig bag, instrument cable, picks, a tuner, and a fairly comfortable strap. No guitar recommendation list is ever complete without a Fender product in the mix. Squier is Fender’s more affordable instrument range, and this set is a great place to start. The affinity series Stratocaster is available in sunburst, classic black, or candy apple red. 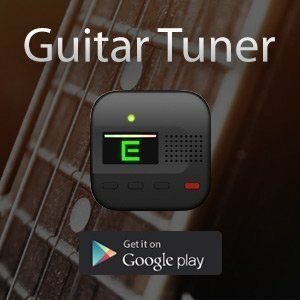 A 10 watt Fender amp and corresponding cable are also included alongside a strap, 3 picks, snap on the tuner, tremolo bar, replacement parts and tools, strings, gig bag, and an instructional DVD to help you get off on the right foot with your playing. 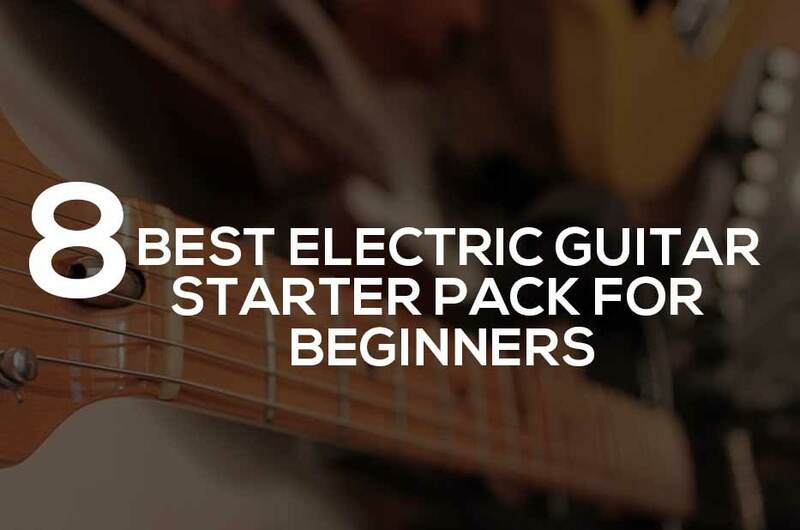 Naturally, you must also consider the Gibson Les Paul starter pack as well. Available from the consumer friendly Epiphone range, this player package is a great introduction to one of the most popular electric guitar models in the entire world. With 22 frets, dual humbuckers, and a gorgeous aesthetic with ebony finish and silver hardware, this is a knockout in every regard. The set is rounded out with the standard fare such as an amp, picks, a cable, a strap, and a tuner. For players that want to start off purely in the world of metal playing, this Schecter bundle should be right up their alley. The guitar itself has a lovely midnight satin black finish, with ready access to its 24 frets thanks to a generous cutaway. The dual humbucker pickups will put out plenty of power as well, allowing for more extreme styles of music to be played with ease. This particular set skips the accessories in favor of a mere amp, gig bag, and instrument cable, but the quality of the main instrument makes up for the omission of picks and the like. ESP is another huge brand in the realm of electric guitar, with huge bands like Metallica, The Rolling Stones, Deftones, Lamb of God, and Slayer endorsements in full swing. Any fan of this kind of acts will be very interested in starting with an ESP of their own. Like Fender and Gibson, ESP has a more affordable range known as LTD. This kit includes an electric blue H-51 guitar with 24 frets and dual humbuckers, as well as a 12 pick sampler set, gig bag, guitar stand, strap, 10-foot instrument cable, and a tuner. If you want to splurge just a bit more and opt for an instrument with a little more stylistic range, the Ibanez Talman guitar vault accessory kit might be right up your alley. It includes a lovely seafoam green Ibanez TM302SFG, 12 high-quality Dunlop Tortex picks, a strap, a gig bag, a Kyser capo, a polishing cloth, and a tuner. This is off the beaten path a bit, but for some players, that’s going to be absolutely perfect.